Home → CMO Manifesto → Content Marketing and why you need it! Take a look at the “Share a Coke” campaign. Know what they did? 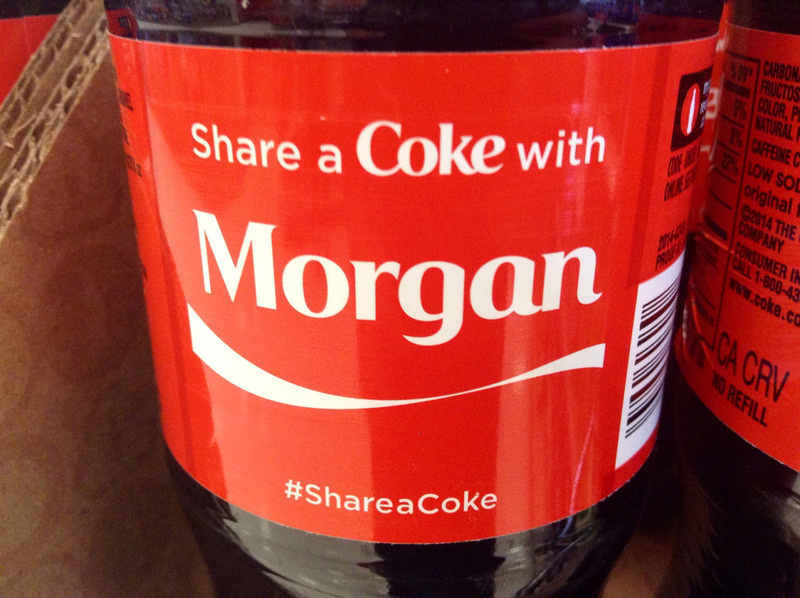 They started off by finding the 150 most popular names in Australia and putting them on the sides of Coke bottles. The result was just staggering! Everyone was talking about it and going crazy! And since then it has spread to other parts of the world. Because something in the content of the campaign hit the sweet spot – the fact that everyone can identify with their names! This is an important part of content marketing – personalizing engagement. Content Marketing basically is about creating and sharing content – content that is consistent, relevant and valuable – in order to attract prospects who can be converted into customers. This is an important aspect of marketing in the digital age. An integral part of a business’s marketing strategy, it is all about engaging with your customers without actually selling to them. Just about everybody – big and small. Biggies like P&G and Microsoft. And small businesses and one-man shows the world over. How is this content different from Advertising material? People are sent marketing communication mail all the time – but the content that we are talking about here is different. It does not sell you anything directly. It is relevant and valuable. The difference here is that where people usually junk advertising material, good content draws them. Because it adds value to their lives in some way. Remember the Lego movie? Was it just a movie about tiny pieces of plastic that kids play with? Yes it was – but it wasn’t just a movie about the toys. It was a very clever piece of content marketing! Content Marketing includes books, blogs, videos and podcasts, case studies white papers, eBooks, apps, public speaking, presentations, and blogs. And yes, movies too! When you consistently offer content that provides value to your customers and prospects, it makes them trust what you say. And when they trust you, they are more likely to buy your product or try your services. And they will talk about you to their friends. Existing customers will trust you more as they see you being consistent in offering value to them. And this is vital in helping to draw new prospects in and in retaining and strengthening bonds with existing ones. When a huge volume of authoritative content keeps coming from a certain source, awareness about the brand spreads. When a business offers solutions to an issue that the audience faces, then more people are interested in this content. With some keen SEO moves, the reach widens. Maybe you have a product that they have never heard about before. People start reading your content and when they like what they read, they are bound to tell others about it. And the circle gets bigger and bigger. Content Marketing is a great way to engage with your customers and prospects and get them to engage with you. When people like your content and consume it, engagement begins. When they see that this content gives them value, they come back for more. And the more they do this, the stronger the relationship gets. Prospects find the content. Consume it. Find that they see value in it. And it draws them in. And they convert into customers without any active “sales pitches” ever having to happen. All those early steps in sales have been covered. The customer is already won. And the deal is signed easily. Or existing customers see value in what you have to offer and talk about it with friends – and they get hooked as well. When there a lot of content from a business out there on the web, it creates natural inbound links. Great content gets picked up by search engines. And in these ways, content marketing aids SEO. In fact, more and more businesses see Content Marketing efforts as an integral part of their SEO strategy. Content Marketing can be very effective when executed well. It does not need any fancy tools or expensive systems. It might be as easy as starting to blog, for instance. And in time, results will show. Remember the Lego Movie? All it did was make Lego the largest toy company in the world.